Rome. 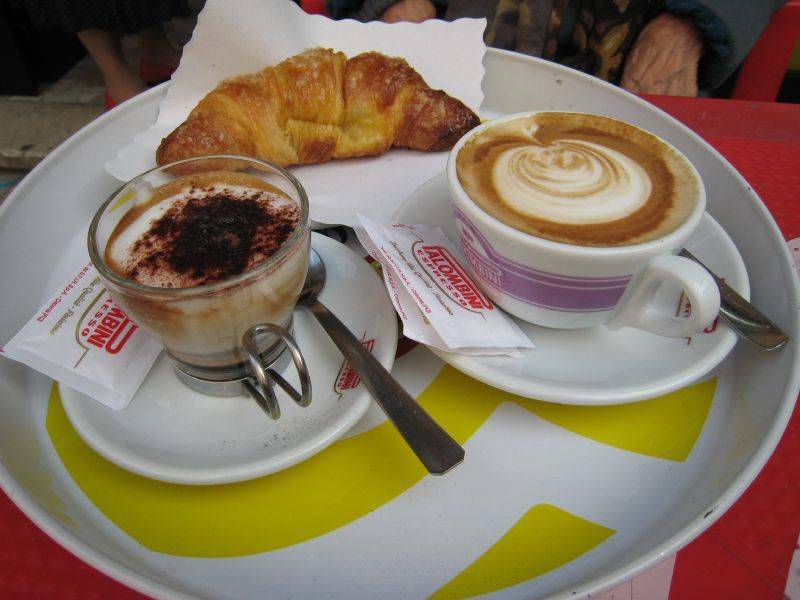 Rome is the most expensive city in Italy to have a leisurely breakfast, a survey by consumers association Altroconsumo has revealed. Customers who sit down at a table in a bar have to pay an average of 4.92 euros for a cappuccino and a brioche in the Italian capital, according to the survey of ten major cities. The next most expensive city is Venice, where breakfasters fork out 4.69 euros, followed by Florence at 4.12 euros. The southern city of Bari lays on the cheapest spread at 2.66 euros, and Bologna comes close at 2.72 euros. The same trio of important tourist cities also topped the league of Italy's most expensive espresso served at a table, with Rome in first place at 2.35 euros followed by Florence (1.82 euros) and Venice (1.79 euros). Once again, Bari offers the cheapest sit-down coffee at 1.15 euros. In all the cities, sitting down at a table is more expensive than standing at the bar, especially when customers can while away the morning at outdoor tables in picturesque settings like Piazza Navona in Rome or St Mark's Square in Venice. But for customers prepared to bolt down breakfast while standing at the bar, Rome joins the southern cities of Naples, Palermo and Bari at the cheaper end of the scale. A cappuccino and a brioche eaten standing up are priciest in the north, with Venice (2.23 euros), Turin (2.20 euros) and Bologna (2.19 euros) coming out top. The cost of an espresso knocked back at the bar reveals a similar north-south divide. Customers stump up 93 cents in Bologna and 88 cents in Venice, while Bari (71 cents), Palermo (73 cents) and Rome (78 cents) offer the cheapest on-the-feet caffeine fixes. Photo: A waiter serves breakfast at a bar.